Malibu C Scalp Wellness Shampoo contains the mild ingredients, such as spearmint, eucalyptus etc., cleansing the scalp and hair. It gently removes the dirt, oil, impurity, etc., and leaves hair and scalp refreshed. Get the bouncy hair and clean scalp with imported quality shampoo, which you can buy through Amazon shampoo shopping in Pakistan. 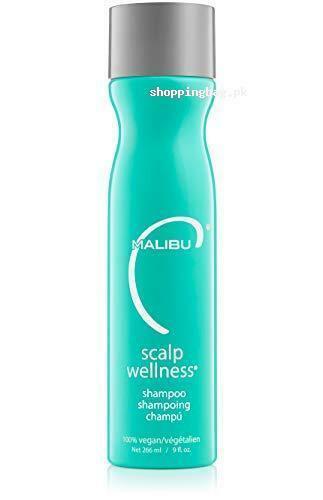 Title: Malibu C Scalp Wellness Shampoo, 9 fl. oz.